Deciding things is hard. Ordinarily, people who want to avoid the difficulties of choosing between two options can either flip a coin or pull out the old Magic 8-Ball. Those methods aren’t nearly sciencey enough, though. The Schrödinger’s Cat Executive Decision Maker is meant to help with all of those hard choices in the geekiest way possible. For those unfamiliar with Schrödinger’s cat experiment, it is a thought experiment in which an object (in this case, a cat) can theoretically exist in two states at the same time (in this case, alive and dead) due to the inherent randomness in the universe. 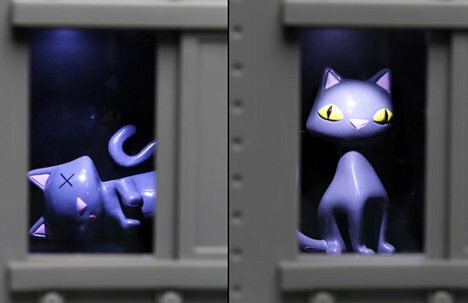 This is an extremely rudimentary explanation, but it illustrates why the poor kitty in this little plastic box flickers between dead and alive before settling on one state or the other. If the kitty lands on alive, the answer to your yes/no question is yes. If it ends up dead, then, well, the answer is no. Who knows what state the kitty is in when the door is closed? 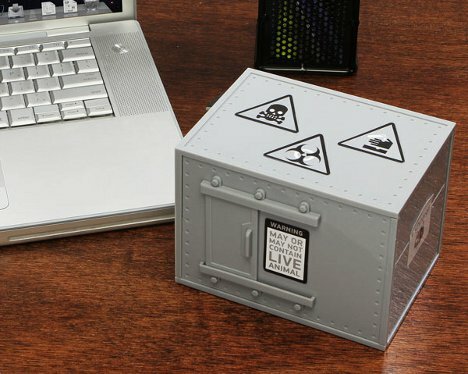 The decision maker is available from ThinkGeek for $30. See more in Quantum Leaps or under Science. February, 2012.